This sweet girl was keenly aware of how much love surrounded her and stayed bright eyed during much of our lifestyle newborn session; just soaking it all in. Seeing her brother’s love and protection pour over her was such a privilege. He’s been so ready to claim his big brother title, and I couldn’t be happier for this wonderful family! I offer lifestyle newborn photography sessions in Woodstock, Canton, Holly Springs, Kennesaw, Acworth and the surrounding Metro Atlanta area. Contact me here to schedule a consultation and reserve your due date! If you’re interested in having your birth story documented or scheduling a Fresh 48 session, I’d love to hear from you too! 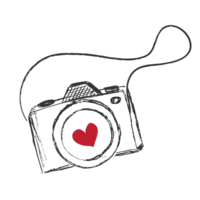 For more information about Atlanta birth photography, be sure to check out some of my Birth Photography FAQs here!